Contribute pictures, update details or suggest corrections for Sundance Kid. 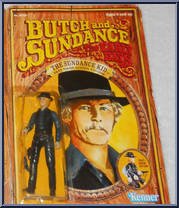 Write a review about Sundance Kid. I always liked this figure. Did anyone notice the facial similarities between this and the Luke Skywalker figures?